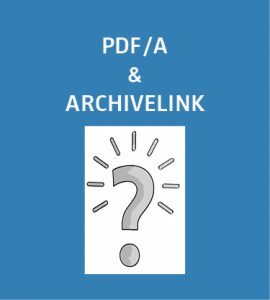 PDF/A and ArchiveLink - Have documents to be standardized? ArchiveLink is a SAP interface used to manage files and related data in SAP. It is widely used as an interface for storing documents in SAP. Thus forms are very often not only sent when issuing orders, customer orders or other SAP objects, but are also filed via ArchiveLink and are linked to the SAP object. Via the SAP function “Services for object“, documents can additionally be stored interactively to SAP objects via ArchiveLink. 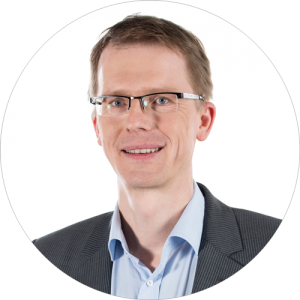 With these possibilities, the question arises whether these documents shall be filed generally in a standardised and uniform format or for certain processes or whether this is not even necessary due to legal requirements. Our present contribution describes how to solve this requirement. In order to integrate a test or conversion function in these scenarios, an SAP User exit can be implemented in the case of the form print. In all other cases, these are not available, so that you must work with SAP Enhancements here. SEAL Systems provides User exit functions or integration components for the mentioned scenarios, which can easily be integrated into the ArchiveLink interface. These integration components check via a configuration table whether a test or conversion is necessary for a specific archiving process. If not, the component is left without any further action, archiving continues in the SAP standard. If a check is configured, the data files and other information are transferred to a server. For example, the file is checked for conformance to the standard PDF/A standard, and is adapted if necessary. Depending on the test result and the SAP configuration, either the original or the adapted file is archived. These check processes are logged in the SAP, so that a check which was not carried out or which was not carried out successfully can be repeated via corresponding administration functions.